I have two new internships for Summer 2017. I should have announced this earlier but I wanted to finish my internship with the History News Network and finish up the semester strong before focusing on anything else. 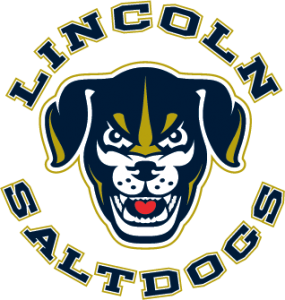 I will be a video production intern for the Lincoln Saltdogs. I always liked baseball and working in Live production seemed like a good idea to “beef-up” my production skills. I was excited to get the call that they accepted me and offered me the internship. To prepare I have been watching tutorials on After Effects, the primary software that the Saltdogs use. It is an adobe product and is primarily used for creating motion graphics and visual effects. It will be a great opportunity to expand my video production skills and work in live production. I start – Monday, May 22. In December when I was looking for internships to apply to I emailed the HR person at the Nebraska Historical Society asking if they had anything I could help out with during the Summer as I would be in Lincoln Nebraska. I didn’t hear anything and figured it was probably a no-go. Then I got an email sometime in January asking if I’d be interested in helping with a project. I went in interviewed and was informed I got the job. I will be archiving video segments – Junkets – done by the Nebraska entertainment reporter Leta Powell Drake. Using a software I am going to digitize the videos and post them on youtube as well as archiving them in the society’s collection system. It will be exciting as I have never archived a live person’s things before – at Drake, I help archive the Cowles Family papers. It will be a great opportunity to see where exactly my skills can take me in this field and hone my researching skills.